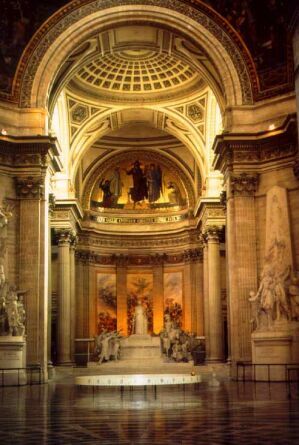 While Louis XV was taking care of his health, he promised that if he recovered, he would build a church to replace the half-ruined Abbey of St. Genevieve. 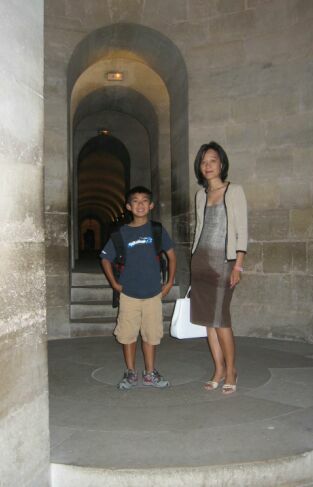 However, due to the lack of funds, the project did not begin until 1755. 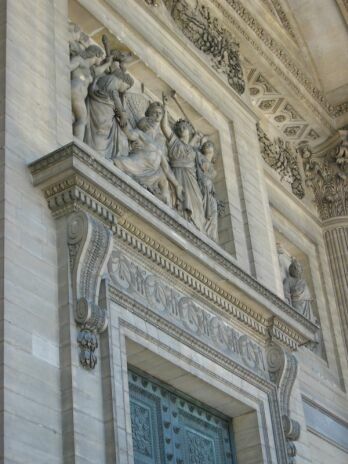 The architect, Soufflot designed a building based on the Classical prototypes. 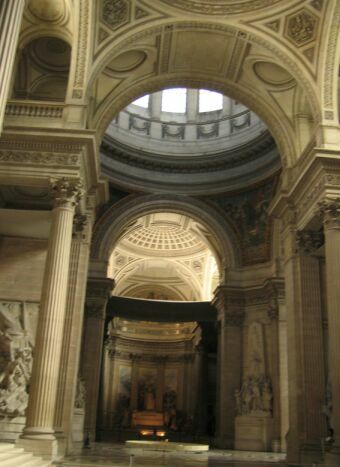 This being a dome with a Latin cross which is fronted by a Greek temple facade. 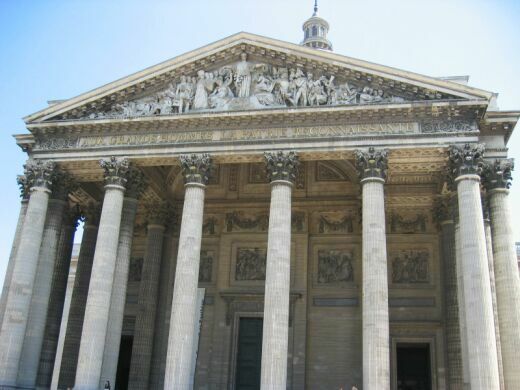 During the construction, Soufflet passed away and the church which is known today as the Pantheon, was finally completed in 1789 - the year of the French Revolution. 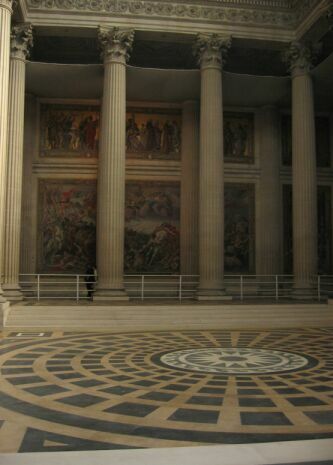 Today, the Pantheon is the necropolis of great French men. 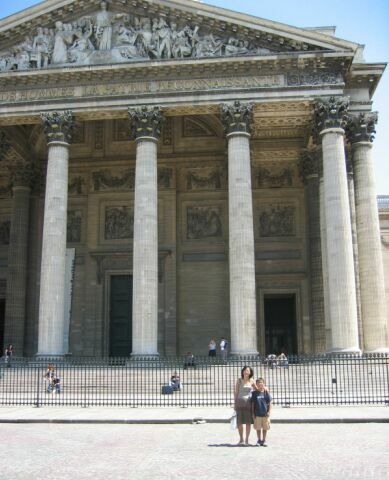 Closer look at facade, you can definitely recognize the Greek architecture, with huge column and the the pointy top. 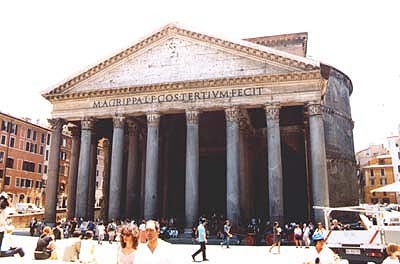 The facade is very similar to the Pantheon in Rome. 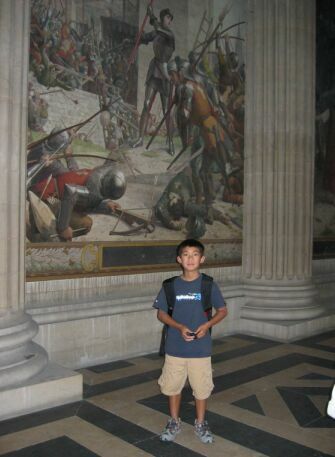 In the back ground a series of pictures depicting the rise and fall of Joan of Arc. The pictures are so huge that you can only see 1 of 4 series of pictures. 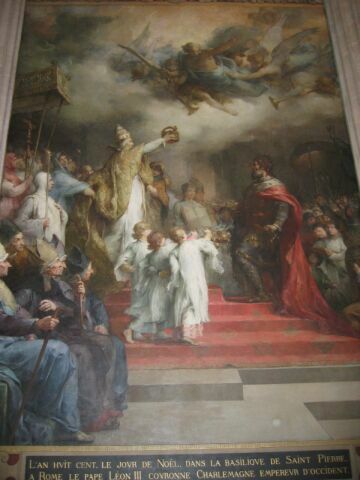 The coronation of Charlemagne- the 1st French emperor. The pendulum suspended from the ceiling- You Can't really see the swinging mechanism here. Look at the bottom at the circular hour table. 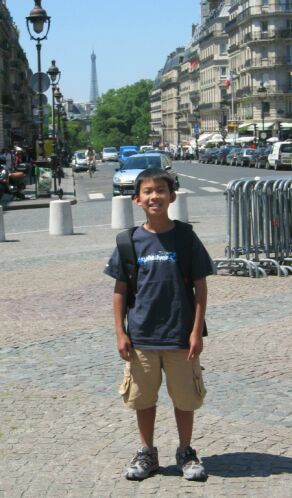 The pendulum was built 150 years ago. 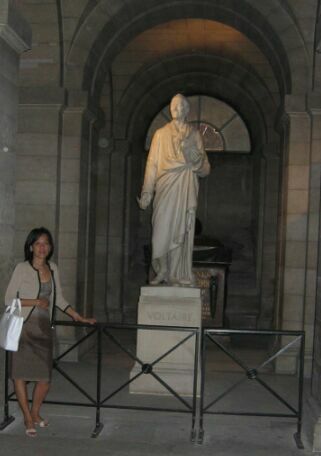 We are now underground in the crypt where lies the mortal remains of Frances honored dead : Mirabeau, Voltaire, Rousseau, Hugo and Zola joined recently by humanist novelist André Malraux for a total of 73 tombs. 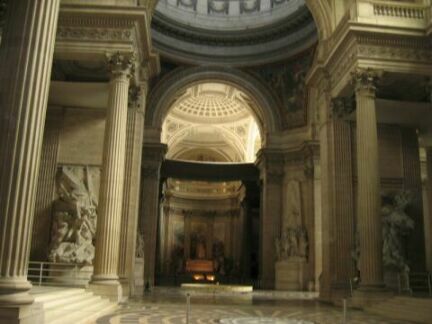 The crypt can accommodate 300 tombs so there are plenty of place.. To be buried in the Pantheon, one has to be a French citizen, and have at at least one remaining body part available to be buried there. Saint-Exupéry, author of the "Petit Prince", could not be in the Pantheon because his body could not be found after his plane crashed in the ocean. 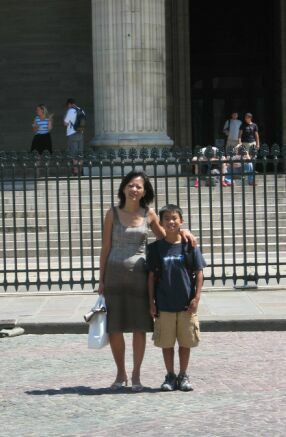 The columns are so impressive and tall. Beautiful carved door and ceiling. 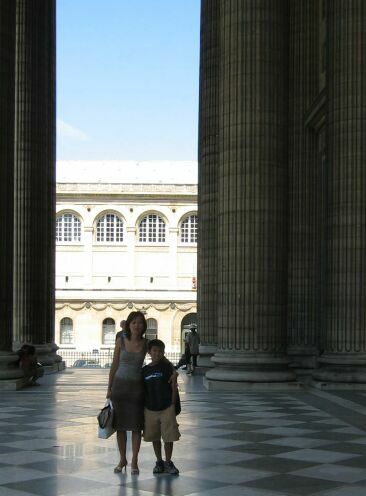 From the Pantheon you can see in the distance the Eiffel tower.